We have a serious title race on our hands. 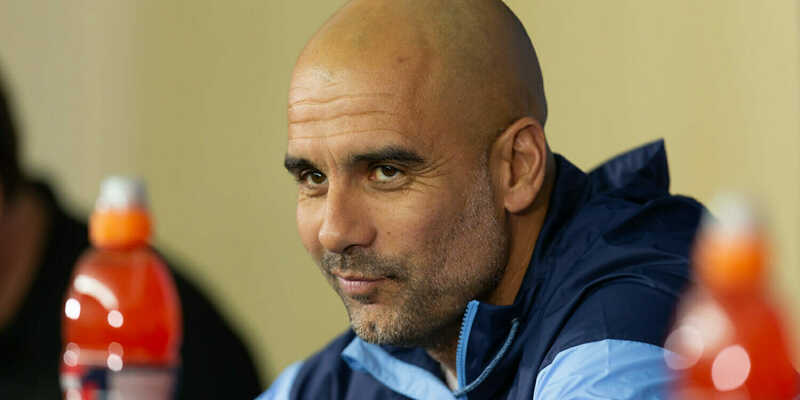 After moving to first in the Premier League at Goodison Park on Wednesday, Manchester City returns home to take on another top-four contender in Chelsea. Manchester City and head coach Pep Guardiola are level on 62 points with Liverpool with one more game played, and the club is ahead of LFC based on goal differential. Here is everything you need to know to watch the Manchester City vs. Chelsea live stream online for free. What a year it has been for Man City. It scored about 2,000 goals in January before slipping up against Newcastle, and it looked as if Liverpool had a clear chance at a seven-point lead and to run away with the title. After Liverpool drew that game, and the next, the possible seven-point lead became three, and the extra match City played against Everton Wednesday closed the gap entirely. There is a long way to go and Liverpool still controls its own destiny, but there will be a title race going into the final 10 games. As for Chelsea, things are slowly turning around since the signing of Gonzalo Higuain, but the Blues are no doubt in a three-horse race for the final top-four spot along with Arsenal and Manchester United. Chelsea needs points every week now, so when these two titans clash on Sunday all the stakes for this season will be on the line. New to cord-cutting? Here are our picks for the best movie streaming sites of 2018 and free live TV apps and channels. If you’re looking for a specific channel, here’s how to watch HBO, Showtime, Starz, ESPN, ESPN2, ESPN3, AMC, FX, Fox News, MSNBC, CNN, CNBC, FS1, TBS, TNT, Golf Channel, Cartoon Network/Adult Swim, Bravo, Lifetime, Discovery, PBS, the CW, BBC, CSPAN, NBA TV, MTV, the Weather Channel, and NFL RedZone without cable, as well as free movies on YouTube. If you’re on the move, here’s how to watch Fox Sports Goand live stream NBC Sports.